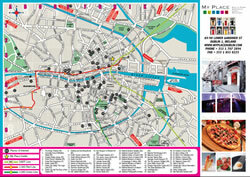 Map of Places of Interest in Dublin, also showing Luas Lines, Dart Lines and Location of My Place Dublin. From Houston Train Station take the tram to Busaras (Central Bus Station) and follow the directions below. From Busaras (The Central Bus Station) you go out the door, walk past Store St Garda station. 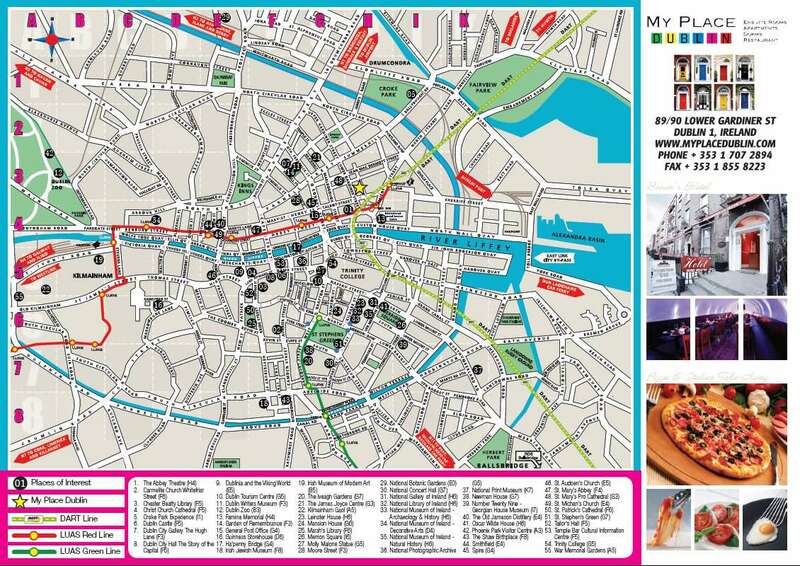 Take a left on Talbot St and a right onto Gardiner St.
We are 50 metres up on the right hand side.